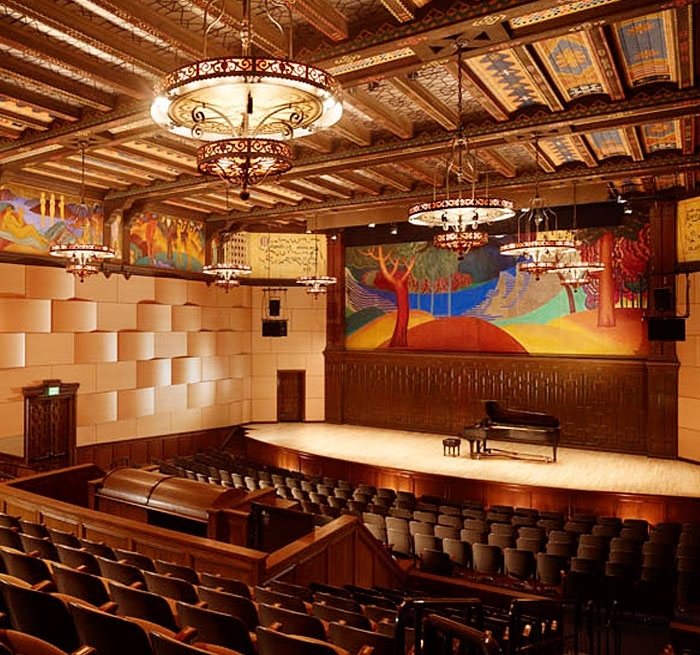 Originally opened in 1928 and designed by architect Walter Ratcliff, Jr., the Spanish Colonial-style concert hall features Raymond Boynton frescoes and murals throughout. The comprehensive renovation of the hall was done over the course of several years with the initial challenge to eliminate low-flying aircraft sound intrusion through the open roof and laylight glazing overhead. This was accomplished with the installation of a massive roof to enclose the sky lit auditorium. In this limited phase one renovation, new theatrical lighting positions and artificial sourcing behind laylight improvements were implemented. A motorized rigging system was added to accommodate the new multichannel playback and environmental sound system used for electronic music composition. Phase two of the master plan, implemented in 2007, focused on renovating the 450-seat audience chamber with re-fabrication and reconfiguration of historic seating,expansion of the playing area onstage, lighting system augmentation and an expanded and accessible in-house mix and control position. Mills College’s music department has earned international recognition for its historic role in the development of modern and contemporary music, most specifically, electronic music composition, digital media and interdisciplinary performance art. 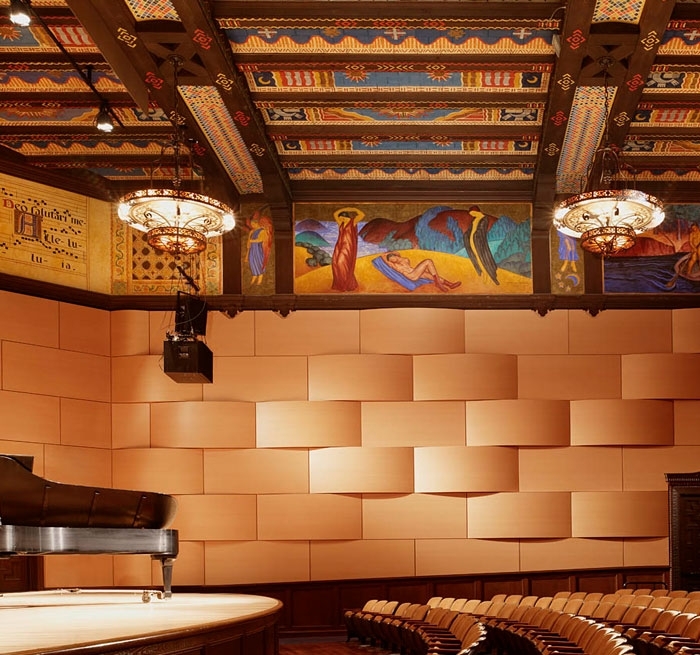 The renovation of Littlefield Concert Hall is unique in its support of these programs and their varied technical and artistic requirements.